Cisco is expected to unveil a new Catalyst access switch designed to converge wired and wireless networking next week. 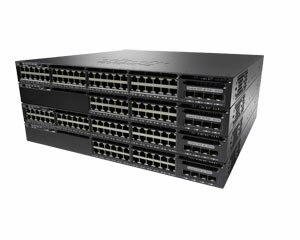 Cisco Catalyst 3650 features new chip for wired/wireless convergence. The Cisco 3650 includes Cisco’s new Universal Access Data Plane (UADP) ASIC that debuted with the Catalyst 3850 early this year. It runs the company’s IOS XE operating system. The switch also features PoE+ for powering external voice, video and wireless gear, and a multicore CPU for hosted services. It also supports Cisco’s TrustSec role-base security architecture and SmartOperations for network planning, deployment, monitoring and troubleshooting. The Catalyst 3650 also supports Cisco’s Application Visibility and Control deep packet inspection technology, and are MACSec “ready,” meaning they will eventually support the IEEE 802.1ae “MACSec” data encryption standard. The Catalyst 3650 will be available in October at the same price points as Cisco’s 3560-X switch–$3,400–which the company will continue to offer. The Cisco 3650 will compete with other 24/48-port stackable Gigabit Ethernet PoE+ switches from HP, Dell, Extreme/Enterasys, Juniper and Brocade.